After a few months of hiatus, Frenzeelo TV has made a return and this time round, there is a new format. Not only that, you get to finally see how I look like. 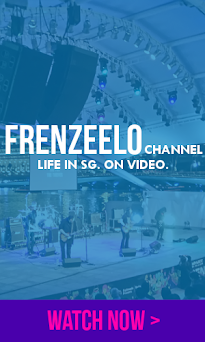 The sixth episode of Frenzeelo TV will be about Bishan - Ang Mo Kio Park, a big neighbourhood park located right in between the estates of Bishan and Ang Mo Kio. There are plenty of interesting facilities and amenities that can be found right over here at the park and I will give you an inside scoop. This episode comes in two parts so please watch both parts if you want to know more about it in further detail. Once again, don't forget to like and subscribe over at my YouTube channel, http://www.youtube.com/paperfrenzy for more episodes and also, if you want to see my full write up of the park, you can do so by clicking here. Thanks for watching and please like and subscribe!